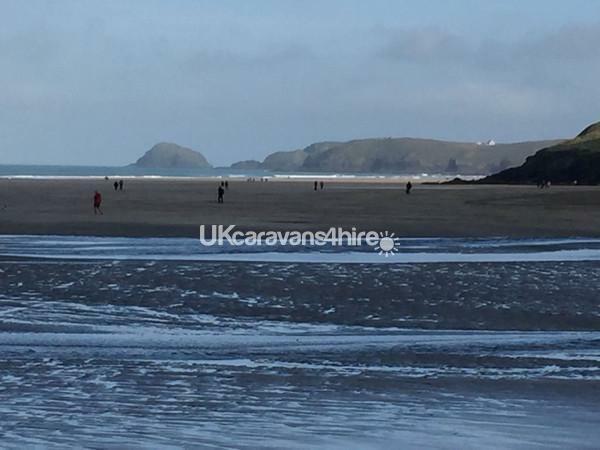 Come and see beautiful Perranporth in Cornwall and stay in our privately owned holiday home on the Vale Liskey Hill Caravan Park. This is a family owned and run Atlas Lakeland with 2 bedrooms making this a 4-6 berth caravan, with excellent sea and countryside views. 'Perranporth 17' sleeps up to 6 with a double bedroom and a twin bedroom with 2 single beds, there is also a double pull out bed in the lounge. The bedrooms have electric heaters so it's possible to stay at any time of the year and remain comfortable allowing you to enjoy the stunning Cornish scenery year-round. We provide all bed linen including duvets and pillows but you'll need to bring your own beach and bath towels. The main bedroom has a double bed, wardrobe and small dressing table. The twin room contains a wardrobe. There is parking for your car right next to the caravan. The beach and town centre are a short walk away and it's only a short drive to attractions such as Newquay's famous Fistral Beach, the Eden Project, Rick Stein's restaurants in Padstow, beautiful St Ives and it's art galleries, Crealy theme park, Poldark Mine and Flambards. Falmouth, St Ives, Hayle, Perranporth and Crantock beaches are particularly beautiful and all are a short distance away. This area is very popular with families, walkers, surfers and photographers. The check-in time on day of arrival is 2PM, check-out on the day of departure is 10AM (Saturday - Saturday). Short breaks are available on request (outside of school holiday weeks). We supply a fully equipped kitchen with a cooker, microwave, fridge-freezer, kettle toaster, saucepans, baking trays, tea towels and all utensils. There is Wi-Fi broadband available on site for a small fee, ask at reception for details. The site office has friendly and helpful staff to accommodate your stay, here you can find a display of leaflets showing many fantastic places to visit during your holiday. Free Wi-Fi is also available in most of the local pubs/cafes in the town (however the area does have good 4g coverage). 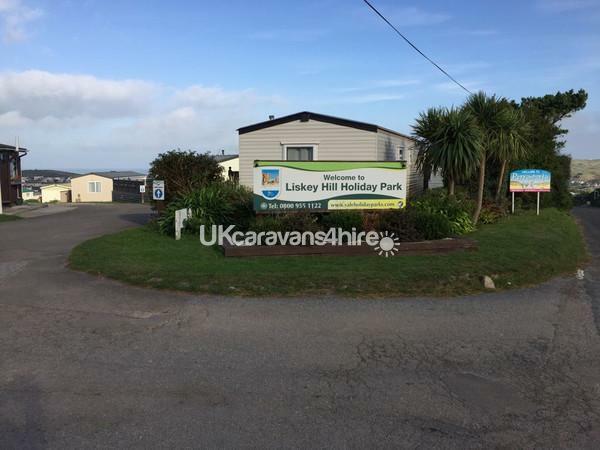 Liskey Hill is a quiet family site within walking distance to the pubs and restaurants in town, the site has no pub/entertainment. There is a small grocery shop providing the essentials. There is also coin operated launderette with drying facilities as well as a small games room containing a pool table and a games machine. Lastly there is a communal BBQ and payphone on this site.